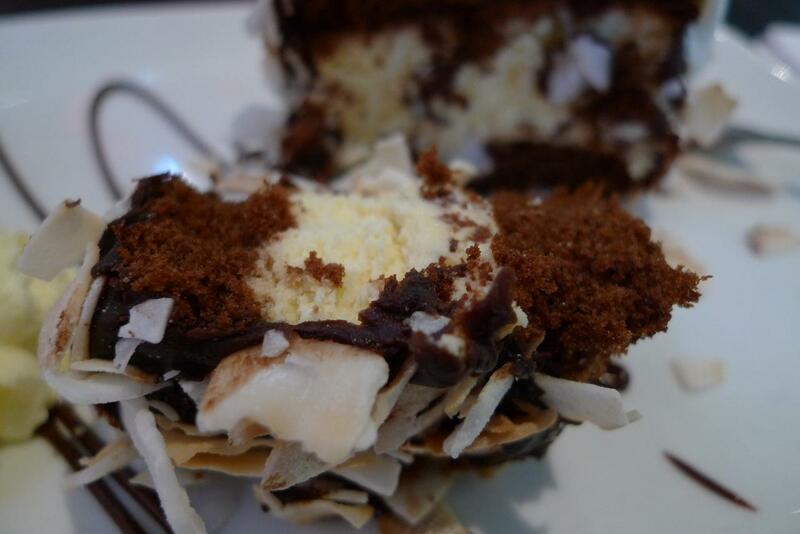 The lamington is Australia’s national cake. Cuboid of sponge, chocolate, dessicated coconut. Simple fare. 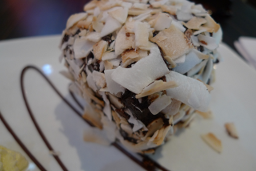 Running into an overengineered, gourmet $12 Lamington presents a question: is it worth it? I figured, for the gamble that it’s great, almost. And I can make up the rest with the value of a quick food-blog post. Nice reinvention of the coconut, well made cake. Perhaps a little too generic, but worth the effort.